Everyone has heard of the estate planning device called a last will. Because this document is synonymous with estate planning, you may assume that a last will can facilitate fast and efficient asset transfers. You are keeping it simple when you use a last will, right? This is not entirely true. If you maintain direct personal possession of your property and arrange for its transfer through the terms of a last will, you name an executor to administer the estate. Before the heirs to the estate can receive their inheritances, the estate must pass through the process of probate. 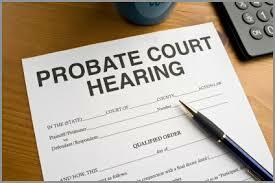 Probate is a legal process that takes place under the supervision of a court. In the state of New York, the Surrogate’s Court handles probate matters. The process of probate provides oversight that can be valuable under some circumstances, but there are also some inherent pitfalls. Let’s look at these drawbacks. There could be family members and close associates who would not be particularly pleased with your estate planning choices. For this reason and others, you may want your final affairs be conducted confidentially. This is not possible when probate enters the picture. Probate records are available to the general public. Anyone who is interested could find out how you planned your estate if it passes through probate. Probate is not free. 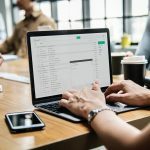 There are legal fees, accounting charges, filing fees, appraisal expenses, liquidation charges, the executor’s compensation, and other miscellaneous expenses. 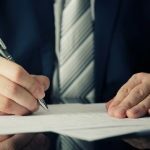 All of this can add up considerably, and money that is spent during probate would have otherwise gone to the heirs to the estate. Probate is not going to run its course overnight. A simple and straightforward case could potentially pass through probate in around nine months. There are contested cases and cases that involve a great deal of property that can take considerably longer. Now that you understand some of the drawbacks that go along with the probate process, you may wonder if it is possible to facilitate asset transfers outside of probate. The answer is yes, there are various different probate avoidance tools that can be utilized. The appropriate course of action will depend on the circumstances, because different people have different estate planning objectives. A very popular probate avoidance solution is the revocable living trust. With this type of trust you do not surrender control of the assets while you are alive and well. After you die, the trustee that you choose distributes assets to the beneficiaries in accordance with your wishes. 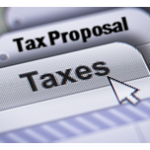 These distributions would not be subject to the probate process. In this post we have provided some basic information. If you would like to learn more about the process of probate, download our special report on the subject. This report is being offered free of charge, and you can obtain access through this link: Special Report on Probate.